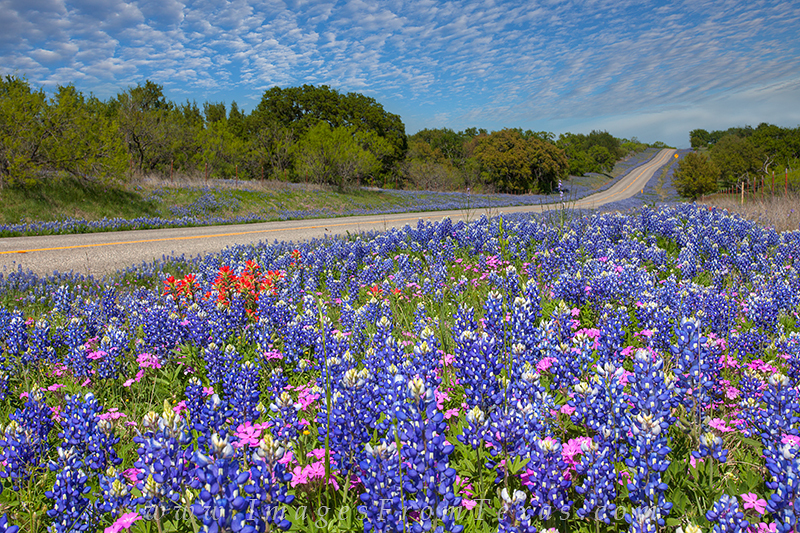 Between Llano and Castell, Texas, bluebonnets and other wildflowers can be prolific and colorful when the rains fall in the spring. In 2010, we were fortunate to experience a lot of the wet stuff. Both highways and country roadsides were filled with blues, reds, pinks, and golds, making for some very pleasant drives. Mixed with some beautiful clouds, the landscape doesn't get much better in the Hill Country. I visited this location several time, always hoping for great skies to complement the flowers below. Photo © copyright by Rob Greebon.